Just wanted to pop in today and say thank you, from myself and my family, to all the men and women who have served and are serving in the U.S. military and its many allies over the years. Think about giving a donation to the USO, or one of the many fine charities that support our fighting men and women, such as Wounded Warrior or TAPS. 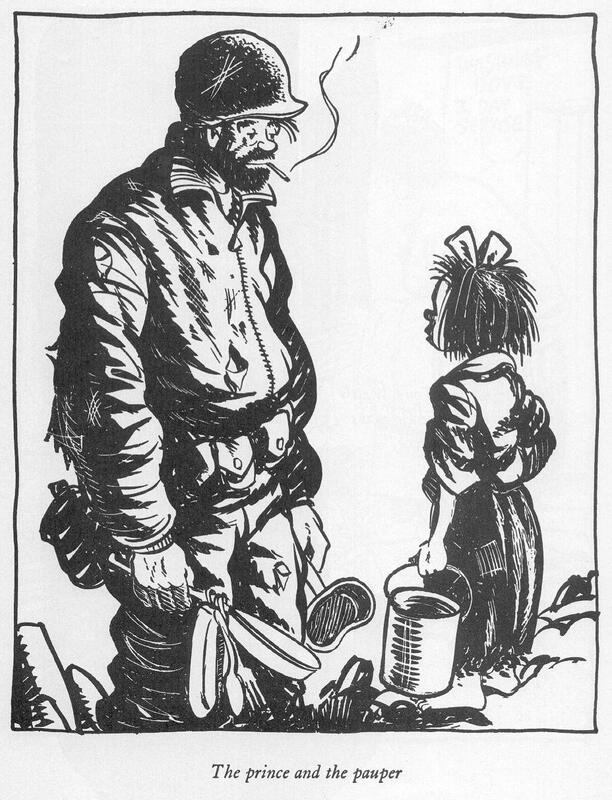 I love Bill Mauldin's WWII cartoon. In turn funny, sad and poignant, I reread the collections about every two years. And I love them each and every time.